Professor Newton: Okay class. Today we are going to talk about my 3rd law. Imagine I am standing on a small, unmoored boat. I am about to step off on to a dock. What advice do you have for me? Susie: Be careful. Every action has an equal and opposite reaction. As you step off of the boat, you might push it out from under you and end up in the water. 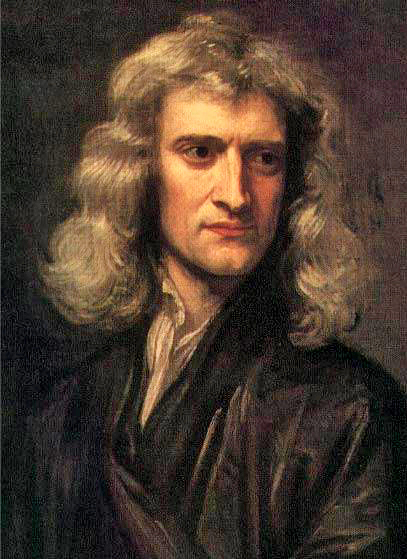 Professor Newton: Bravo. Any other thoughts or questions? [Pointing to Bobby] Yes, Bobby? Bobby: It’s clear that Susie doesn’t like you because she wants you to be marooned on the boat. Professor Newton: How did you get into this school anyway, Bobby? Bobby’s error is elementary. He has misunderstood Susie to be making a statement about what she wants to see happen–what economists call a “normative” statement. In fact, Susie intends her comment as a “positive” statement about what she thinks will happen. His mistake is uncharitable and illogical. Regarding charity: There is no need to impugn Susie’s intentions. Until there is evidence to the contrary, he owes her the respect of assuming her intentions are good. Regarding logic: His statement is a non-sequitur. There would have been nothing illogical if he had questioned the validity of her analysis; perhaps the boat bottom is resting in the mud below, creating enough friction to make her concern unfounded. But in questioning Susie’s motives rather than the soundness of her analysis, Bobby robs himself of the chance to gain better understanding of the world. And he makes himself a fool. Though it might have been a common reaction in Galileo’s time, Bobby’s error is unusual today. When it comes to the physical world, people rarely mistake positive statements for normative statements. Unfortunately, when it comes to the social world, Bobby’s mistake is incredibly common. I’m amazed at how many college educated people make it. I’m amazed at how many nationally syndicated columnists make it. Though it is really more of an English lesson, I’ve come to believe that the first lesson every economics student needs to learn is the difference between a normative and a positive statement. Ms. A: A minimum wage raises the price of labor. Since most demand curves slope downward, theory predicts that if the minimum wage is set above the market equilibrium wage, a smaller quantity of labor will be demanded than supplied. In other words, a minimum wage may exacerbate unemployment, harming the very people it was intended to help. Those especially likely to be harmed are those with few skills such as the young and uneducated. Ms. B: Ms. A doesn’t really care about poor people. She just cares about the wealthy and that’s why she opposes a minimum wage. Note that it would be completely legitimate for B to challenge A’s positive analysis. Maybe there are good reasons to believe that her theory fails to capture the complexity of the issue. Or maybe B believes the evidence is just too mixed to make any definitive conclusions. These are legitimate responses. But to impugn A’s intentions is both uncharitable and illogical. Nothing of what A said suggests she wants anything but the best for low-income earners. B is robbing herself of the opportunity to gain a better understanding of the world. And she makes herself a fool. Mr. Dove: U.S. foreign policy–including the support of regimes that are unpopular with their own people–angered antagonists and made the U.S. more susceptible to attack on 9/11. Ms. Hawk: Dove thinks that America got what it deserved on that horrible September day. Note that it would be completely legitimate for Hawk to challenge Dove on either his theory or his facts. But to impart normative meaning to what is essentially a positive statement is uncharitable and illogical. Assume for the moment that Dove’s assessment is correct (though, of course, it would be difficult to ‘test’ it). This does not change the fact that attacking innocent civilians is normatively reprehensible and nothing in Dove’s statement suggests he believes otherwise. But because Hawk jumps to impugn Dove’s normative beliefs, he deprives himself of the opportunity to gain a better understanding of the world. And in so doing he makes himself a fool. Science is all about positive claims. But it’s also about normative claims; the only reason to study unemployment or terrorism is because–as human beings–we have strong normative beliefs about the desirability of these things. The next time you hear a positive claim–especially an unsettling one that challenges your belief system–think twice before you assume the claim says anything about what its speaker believes normatively. You don’t want want to be uncharitable or foolish. This entry was posted in Public Discourse and tagged Bobby It, Hawk Dove, labor, make, Professor Newton, Professor Newton Bravo, Professor Newton Okay on May 21, 2014 by Matt Mitchell. One can collect normative comments written in response to positive comments in popular daily papers. Take a large basket!